Twelve soldiers were killed in an ambush by al-Shabaab terrorists in Somalia, the Ugandan military said Monday. A 22-man patrol was attacked at Gorowen, around 140 kilometers (87 miles) southwest of capital Mogadishu, Brig. Richard Karemire, a spokesman for the Uganda People’s Defence Force, said. Seven Ugandan troops were wounded in the attack on Sunday afternoon, he added. They were evacuated to hospital in Mogadishu. 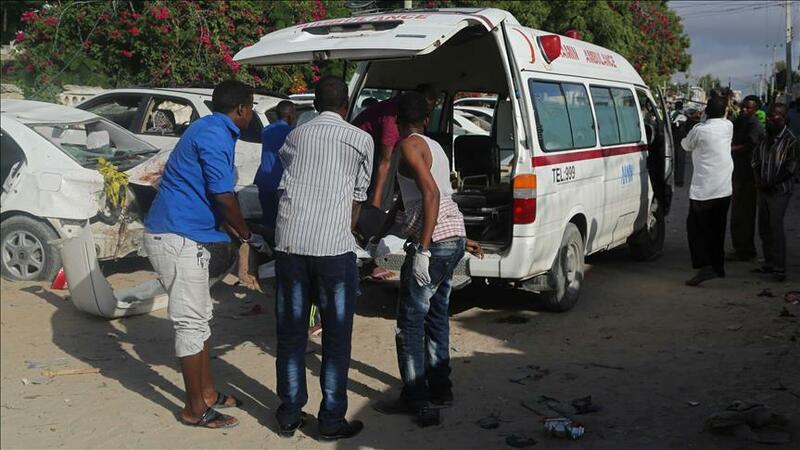 The African Union Mission of Somalia (AMISOM) confirmed the attack on its Twitter page. It said a convoy of AMISOM and Somali National Army troops were targeted by an improvised explosive device as they patrolled a main road. In a radio message, the al-Qaeda-linked terror group claimed to have killed 39 AMISOM soldiers. Uganda is one of the biggest troop contributors to AMISOM’s 22,000-strong force in Somalia.